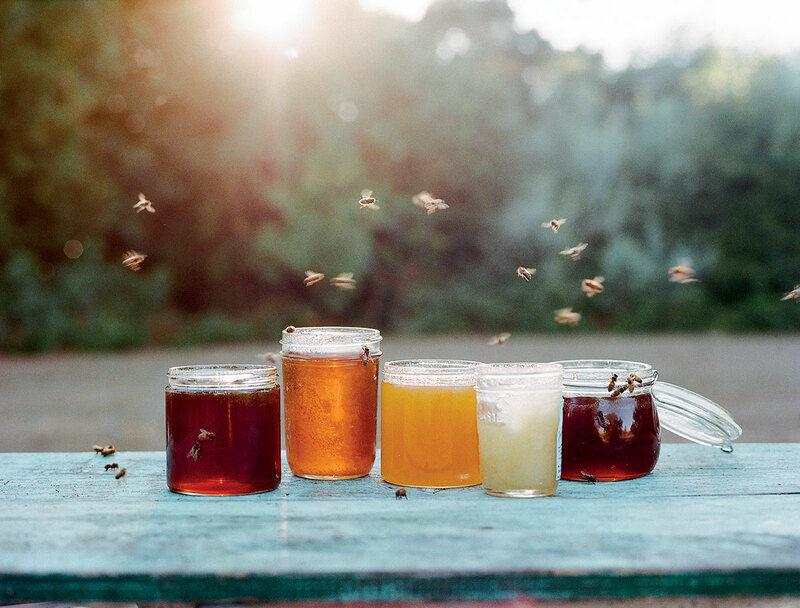 Join the backyard beekeeping revolution and keep pollinators buzzing. The payback's pretty sweet. 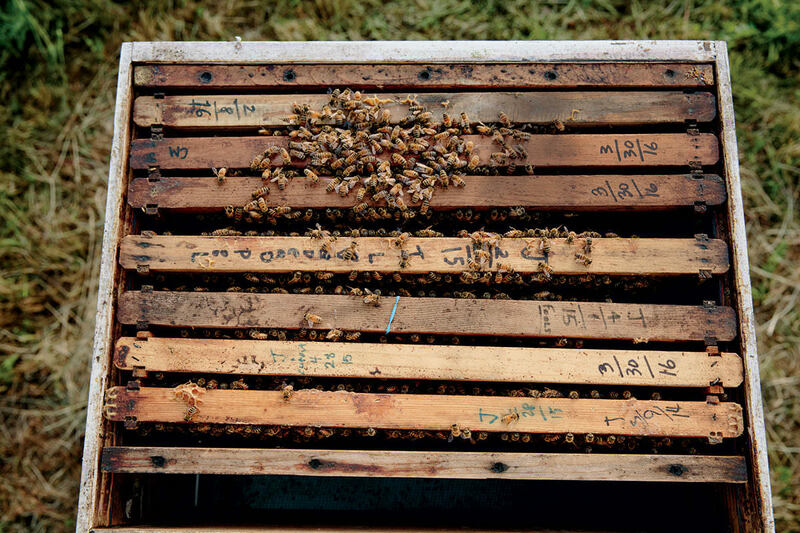 Rob Keller, founder of Napa Valley Bee Company, dates each frame to monitor honey production; he recruited his 12-year-old son to help with this group, hence the scribbled "I Love Deadpool." 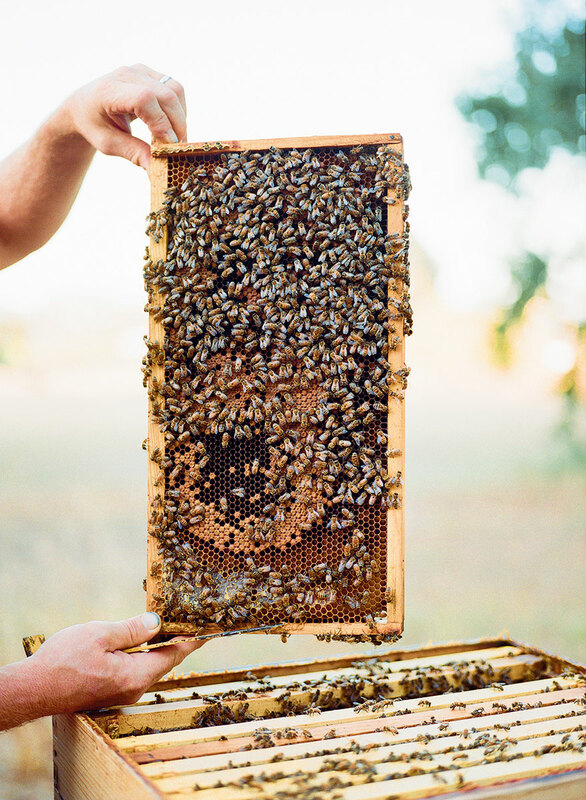 Keller inspects a frame (detail, below) from a client’s hive in Napa, CA. Keller, in front of his beloved ’61 single-cab VW, prepares to set up colonies at Napa’s Connolly Ranch, an educational farm. 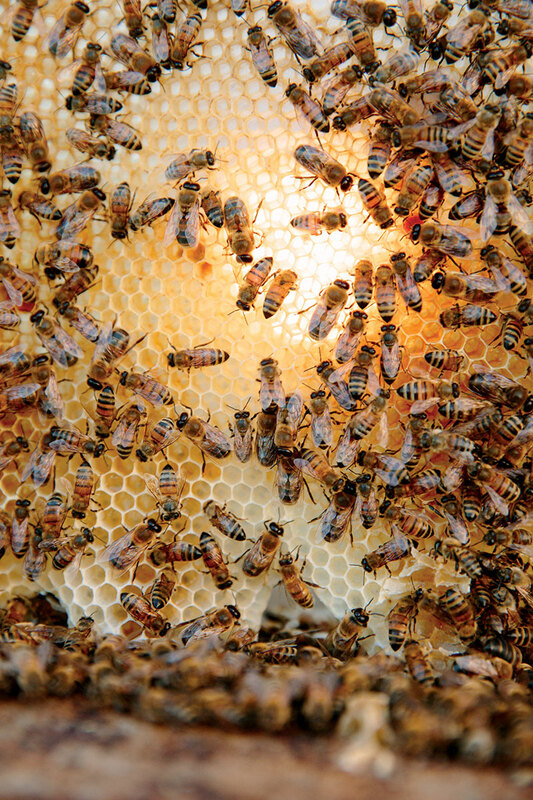 Worker bees account for more than 90 percent of a colony’s population and perform most of its duties. 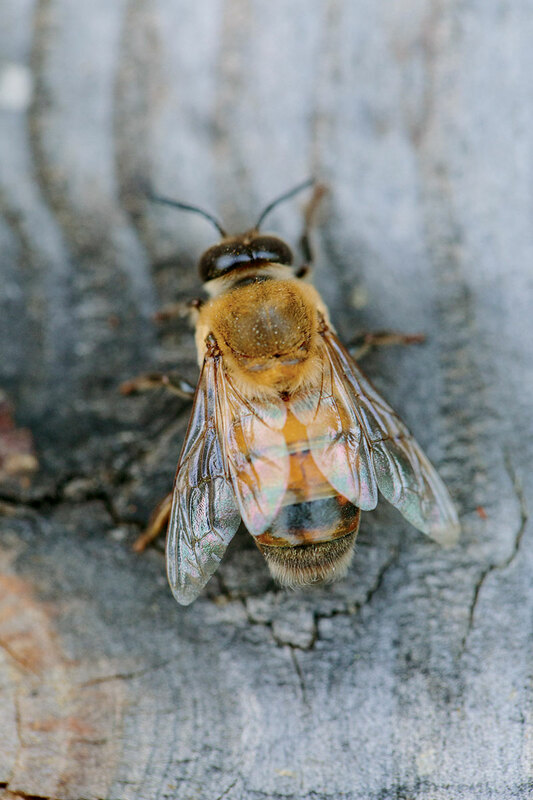 These infertile females feed and clean the queen bee; care for developing larvae; make beeswax; fan their wings to maintain a comfortable temperature inside the hive (at least 90°F year-round); and gather water, pollen, and nectar to create honey, the colony’s sole source of sustenance come winter. The pace is so intense that, during peak honey season, a worker typically toils for only six weeks before dying of exhaustion. 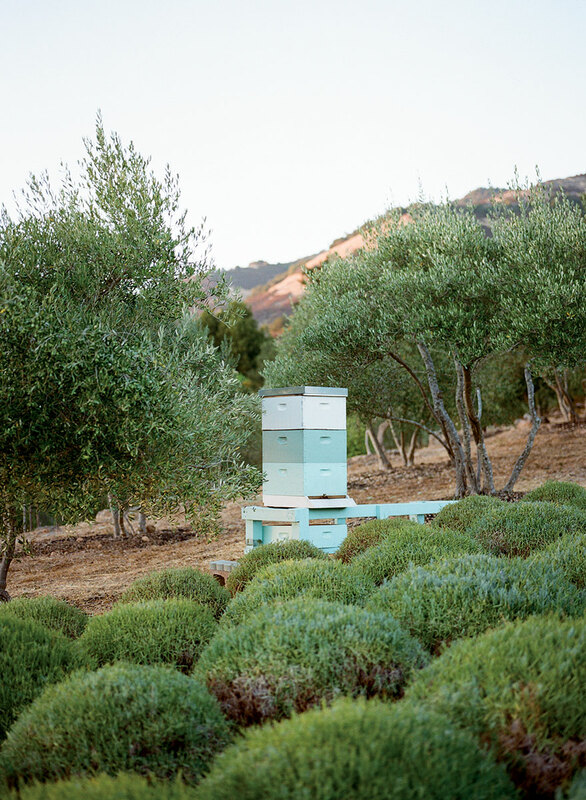 A Langstroth hive, the industry standard, sits amid lavender and olive trees in the Napa Valley. The time to begin researching suppliers is now, via word of mouth, since the best sources tend to sell out by the end of January. (If you don’t already know nearby beekeepers, surf the American Beekeeping Federation’s website, abfnet.org, to find organizations in your area.) For roughly $150, you can secure a package that contains about three pounds of bees, including a queen, and a small tin of syrup to sustain the gang during transit. Or get a head start with a nucleus: a queen and small colony pre-packed on five waxed frames, three with bees, two with honey and pollen. The latter option costs an additional $50 or so, but you’re more likely to get honey the fall after a spring delivery, as opposed to the following summer. Keller never spends a red cent on stock, preferring to capture swarms that have split from their colonies. “These bees have proven they thrive in your region,” he explains. The process isn’t as difficult as it seems. One simple method is to bait empty hives, or even cardboard boxes, with a pheromone lure (available at brushymountainbeefarm.com). 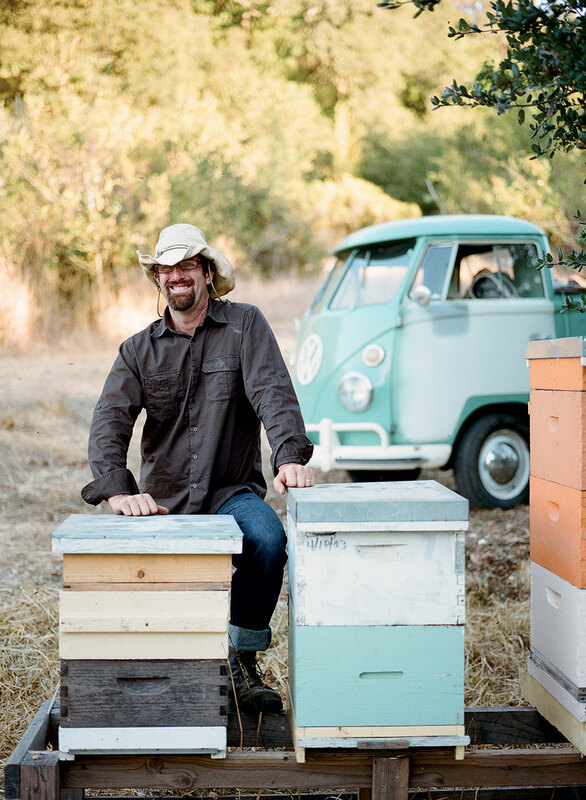 Rob McFarland – the author, with his wife, Chelsea, of Save the Bees with Natural Backyard Hives – hits the California-based websites wingsofnaturebees.com and thevalleyhive.com for bees and other supplies to outfit the couple’s five-acre farm outside Spokane. He also under-scores the importance of local mentors: “You might have all sorts of knowledge on an intellectual level, but putting that into practice can be a challenge without guidance.” Different municipalities have different regulations regarding specifics like minimum lot size and maximum number of hives. The hive’s female worker bees congregate with a few drones on a cross-section of comb that has yet to be filled with honey. Buzzing with activity, this brood chamber bears a sticker that Keller – an artist before becoming an apiarist – designed with a friend. Langstroth hives, which also include a protective bottom board and two top covers, cost as little as $100 from suppliers like dadant.com and westernbee.com, though handy types might consider building their own. 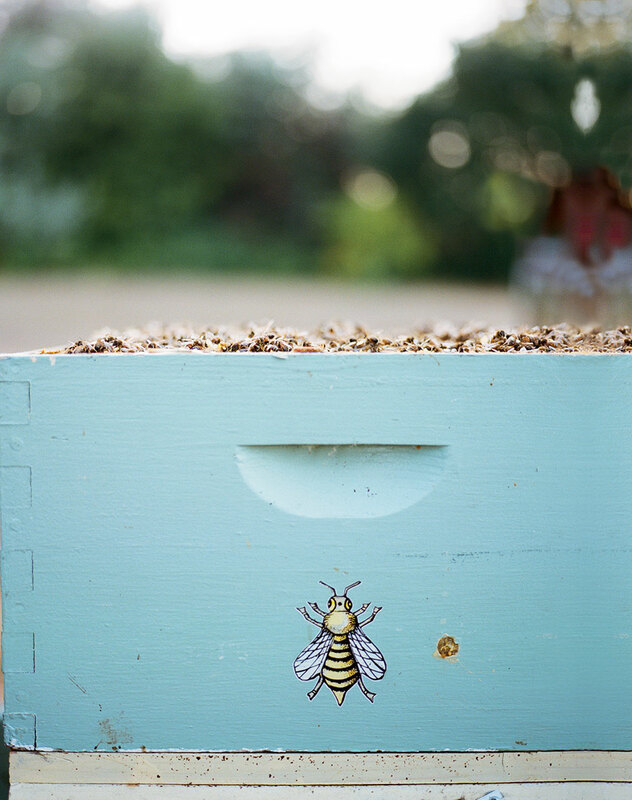 You’ll want to set the hive on a stand in an easily accessible location with level, firm ground. The site should provide good ventilation, direct sunlight from the east, and a nearby water source (a trickle from your garden’s drip-irrigation hose will do). Carr suggests beginning with two hives, so you can compare and contrast how the colonies evolve, making adjustments as you learn. “You can also take a frame from the brooding chamber of the stronger hive,” he adds, “and use it to boost the weaker one. Once a colony has outgrown its hive, the queen will depart with part of her posse to search for a new home. This mass exodus, known as a swarm, can be forestalled by providing plenty of brood space. 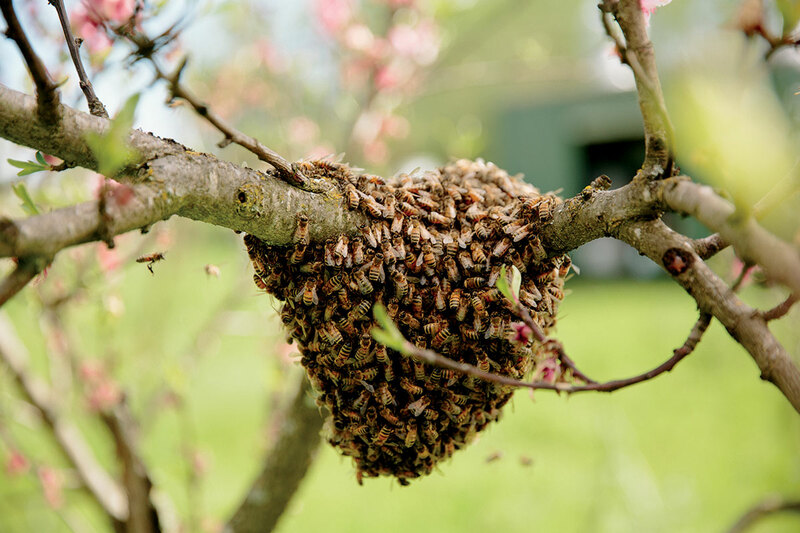 Keller often catches swarms on the loose and hives them up. 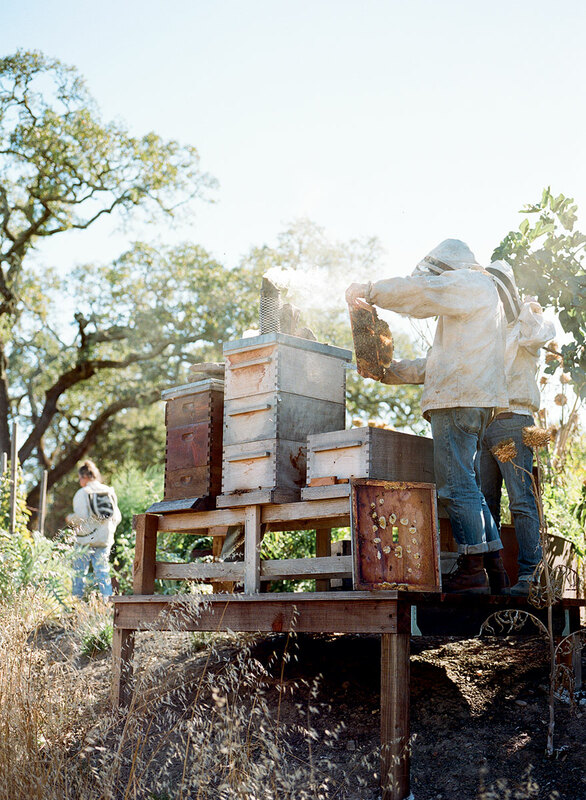 Honey gleans its color from the types of pollen and nectar the workers bring back to the hive from surrounding plants. Fall harvests tend to be darker than early-summer ones.